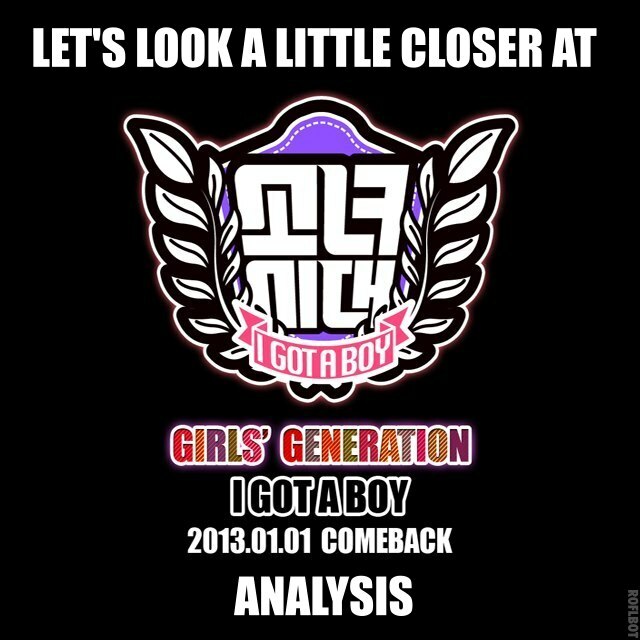 Hit the jump for the rest, IGAB FIRST! Let’s face it, IGAB is probably the most experimental song in Soshi’s discography. Let’s forget the fact that many people are crying about this song because it sounds weird, people cried about Gee as well because it was too poppy and trying to be overly cute. I’ve put this song on repeat for a few days straight now and I actually really enjoy it. However, I can understand how people don’t, it’s not really pop…it’s an experimental variation of pop elements. My musical tastes start with rock and metal, and it evolved into Progressive Metal/rock, and I feel that IGAB has links to progressive music. I’ll be analysing why people who LOVE kpop seem to be afraid of this song so much, and why people seem to find it difficult to listen to. THIS IS A LONG READ, but it might give a very good insight as to why the song is done the way it is, and hopefully will garner more appreciation. update 2: sat down after the show and listened to this part by part (repeated each part). It’s..actually very well put together. It encompasses a lot of different genre’s that soshi has tried to tackle over the years with some having more precedence over others, a lot of the things that Soshi do best are nestled in here. The thing is that I feel the thing that has improved 10,000 fold is their choreography and dance. Not to say that they were weak before..But they hit with so much precision now, hip-hop really does bring some much needed elements to a strong dancer. Original thought: I’m not sure…it sounds like they crammed 6 songs into one. There are some parts that are really good. and there are some parts I want to cut out. Costumes are great, choreography is really good. Sunny’s hair makes me want to puke though, BRING BACK THE LONG HAIR AASDHGASJHFDGAKF. The Great Mystery is Solved….for now…DANCING QUEEN! Girl’s Generation has revealed the song Dancing Queen. It is currently out on Itunes and the MV can be accessed through this link. Before anyone jumps the gun, remember that this is the teaser, this is not the title song for the new album. So…I’m gonna put this on loop and ask my assistant to hold my calls for the rest of the day. Along with Tiffany’s teaser, the track list for the mini album has been released! Also announced, TaeTiSeo will perform “Twinkle” on “M! Countdown” on May 3rd. They will also be performing this song on KBS2TV’s “Hello” on May 6th and KBS “Open Concert” on May 10th. Looks like TaeTiSeo will be double busy promoting this song along with all the upcoming group work!